When I was a kid, I used to love to play with my dad’s kaleidoscope. As I peered inside, a whole new world, a whole new view of the world appeared. It didn’t matter what I was looking at, in what direction I faced. There was always a surprise in the view. A slight turn of my hand would magically create a whole new experience. Any direction you faced gave you a beautiful glimpse of another possibility. Infinite ways of seeing things, infinitely changing. The kaleidoscope had a way of transforming anything you were looking at into something beautiful, if not at least interesting. Have a kaleidoscope day with your child today! Start by doing your favorite deep breathing exercise. 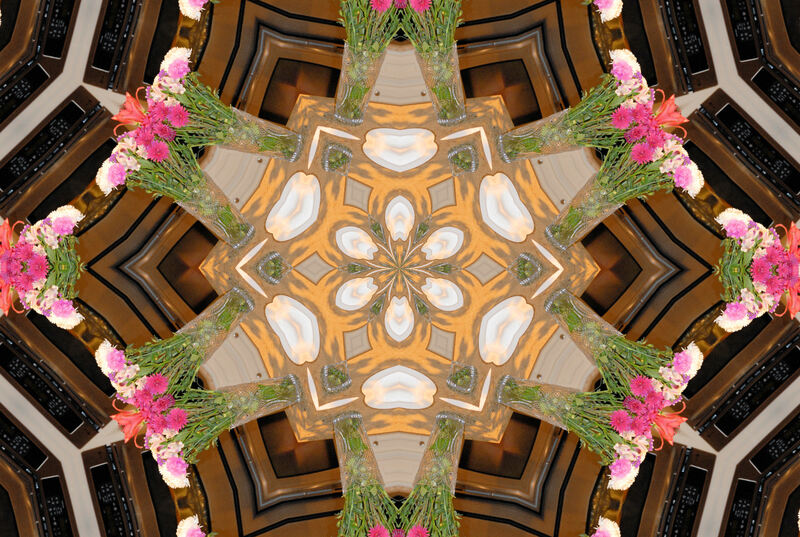 Get a kaleidoscope and practice looking and sharing what you see. Then talk about the agreements listed above. Create little cards or sticky notes to remind yourself and collect your kaleidoscope moments throughout the day. Breathe, relax, enjoy. 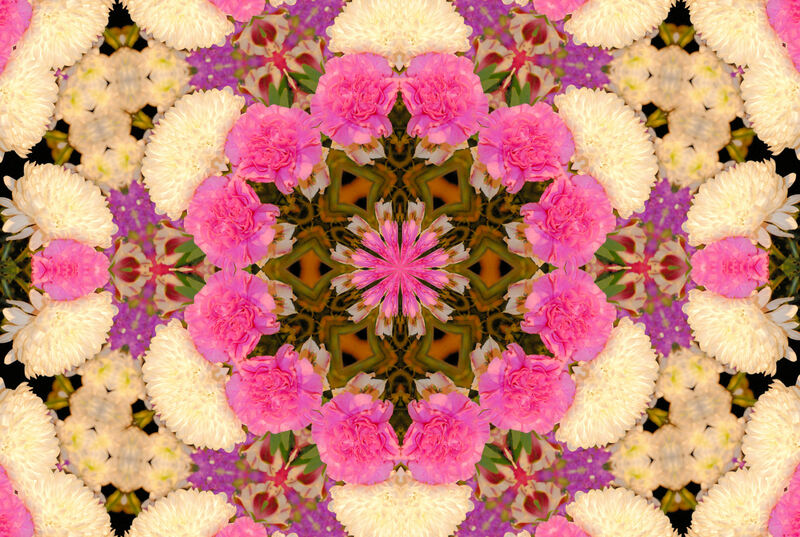 My dad is still creating kaleidoscope images through photography, such as those seen here, and sending them to me. He has a photography program that will translate “normal” photographs into these beautiful images. 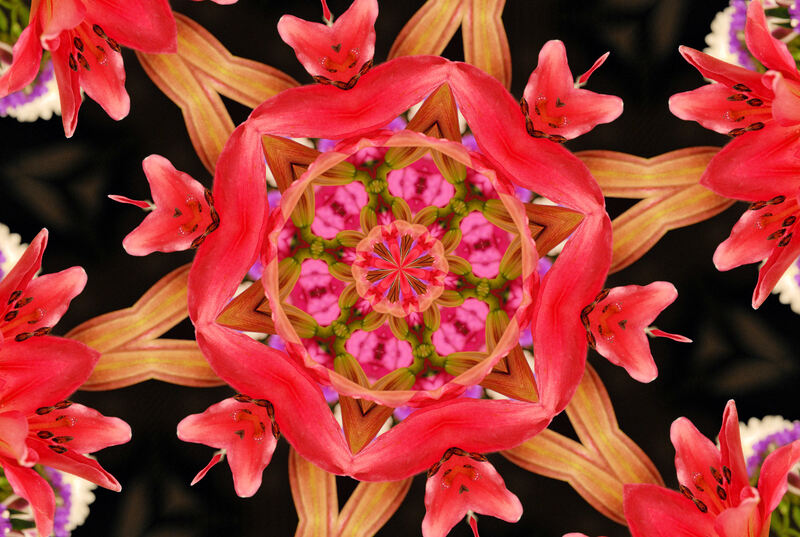 You can snap a photo of virtually anything and then transform it into a kaleidoscope image. These shots are constant reminders for me to approach life as if I were looking through a kaleidoscope, pointing my attention in the direction of things I find interesting and allowing the picture to fall into place, infinitely creating, changing and showing me endless points of view.